China to Send 89 Athletes for Asian Athletics ChampionshipsApril 19, 2019China will send a team of 89 athletes for the 2019 Asian Athletics Championships slated for April 21 to 24 in Doha, Qatar, comprising 46 male and 43 female. Weight 'n' See for Mom HuangApril 15, 2019To meet the challenge of the upcoming World Aquatics Championships in Gwangju, South Korea, and the 2020 Tokyo Olympics, China has built a national artistic swimming team that includes comebacking star Huang Xuechen. 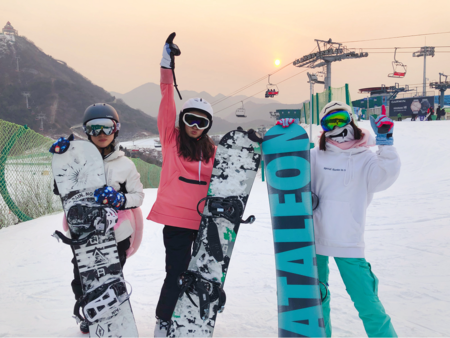 China's Women Players to Carry On after IIHF WorldsApril 14, 2019In order to perform better in the 2022 Winter Olympics, the Chinese women ice hockey players still have a tough way ahead to tune up their skills and to get stronger legs. Chinese Basketball Association Congratulates Han Xu, Li YueruApril 12, 2019Chinese female basketball players Han Xu and Li Yueru were selected in the WNBA draft 2019 on the evening of April 10 in New York. Upon hearing the news, the Chinese Basketball Association sent them a congratulatory letter. 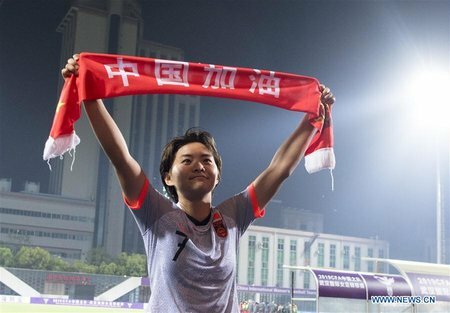 China Wins Four-Nation Women's Soccer Invitational CrownApril 8, 2019China beat Cameroon 1-0 in the final of the Four-Nation women's football invitational tournament here on Sunday with Wang Shanshan scoring the lone goal. China's Girls and Boys Both Win ISF U-15 World Schools Volleyball ChampionshipsApril 6, 2019Nanjing No. 1 Middle School boys and Nanjing No. 3 High School girls both won the titles in the ISF U-15 World Schools Volleyball Championship, which concluded on April 5 in Porec, Croatia. China Takes Advantage of Beijing 2022 to Push Great Leap of Winter SportsApril 1, 2019Chinese Government issued the "Guidance on Taking the 2022 Beijing Winter Olympics as an Opportunity to Develop Winter Sports" here on Sunday, trying to seize the opportunity of Olympics to usher winter sports into a new page in the country. Steel Roses Aim to Iron out Cup ChallengesMarch 30, 2019With women's soccer enjoying mass appeal as the World Cup approaches, China's "Steel Roses" are determined to bloom on the biggest stage in the hope of rejuvenating the game back home. Fu Yuanhui Remains Focused on Medal HuntMarch 28, 2019Fu Yuanhui's regular appearances on TV variety shows have led some to question the former world champion's focus on swimming. However, she proved the doubters wrong by winning the 100m title in 59.84 seconds at the national swimming championships in Qingdao, Shandong province, on Tuesday. 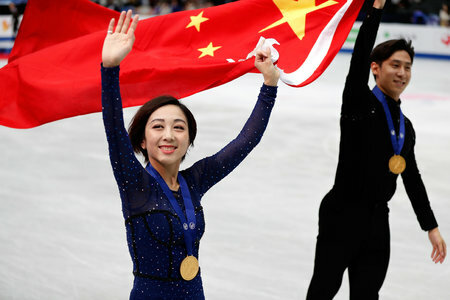 Flawless Chinese Figure Skating Pair Wins Worlds TitleMarch 22, 2019China's Sui Wenjing and Han Cong won the pairs gold medal at the 2019 ISU Figure Skating World Championships in Saitama, Japan on Thursday. China's Ge Breaks Women's 60m National Indoor RecordMarch 20, 2019China's promising sprinter Ge Manqi improved her 60-meter personal best twice on Tuesday to set a national indoor record of 7.10 seconds at the National Indoor Championships Finals in Hangzhou, China. 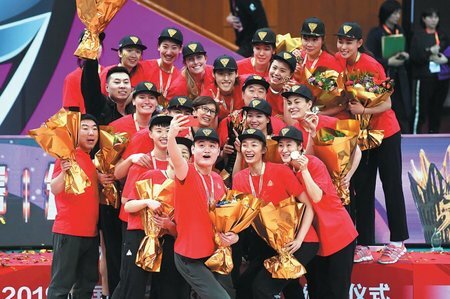 Beijing Takes Chinese Women's Volleyball Super League CrownMarch 12, 2019Beijing lifted the trophy of the Chinese Women's Volleyball Super League for the first time as they beat defending champions Tianjin 3-1 (25-21, 25-15, 20-25 and 25-20), sweeping the best-of-five finals 3-0 here on Saturday.